Join us at the Beach. The exciting and energetic color combinations are as vivacious as the machine itself. The 32-100 watt lamps provide incredible entry-level results, so, have a Fiesta! 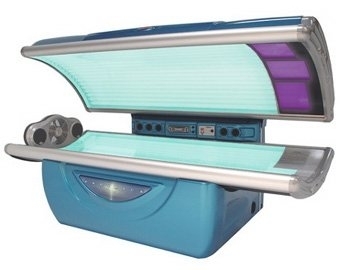 Luxurious and uncompromising comfort, the 39 lamp Pacifica features a combination of 160/100 watt reflector lamps and 400 watt facials with a wider tanning surface for extra comfort. 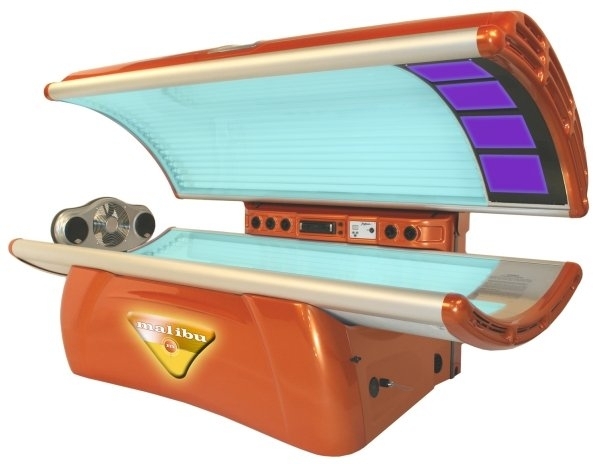 This luxurious, high-powered VHOR machine is designed with 42 160 watt reflector lamps that produces deeper, darker results. The extra wide tanning surface allows you to indulge in a more comfortable, cooler environment for an enjoyable tanning experience! Extraordinary in every way, the three dimensional cutting edge designed Solarix 360 has an unmistakable presence. The oscillating upper and lower HP lamps, 3-layer exterior acrylic and premium body cooler will exceed your expectations. 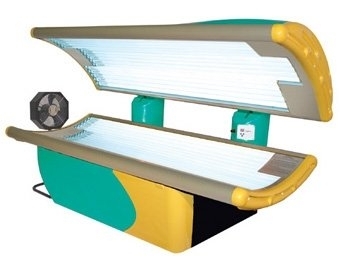 Beyond extreme high pressure tanning!